Crescent Lake is one of the hottest neighborhoods in St Petersburg! Houses in Crescent Lake are flying off the market and aggressively increasing in value. There are hundreds of great neighborhoods in St Petersburg! What makes Crescent Lake such a hot commodity these days? Perhaps one of the most notable selling points of Crescent Lake is the proximity to downtown St Pete. A simple four minute drive, ten minute bike ride, or a twenty minute walk is all it takes for you to be in the heart of our beloved downtown. Most of the residents love the comfort of a neighborhood feel with the convenience of being able to be downtown in a matter of minutes! For those that love being outdoors, the 56 acre park in the heart of the neighborhood is serene and stunning. You can often find fitness gatherings such as group yoga, mommy and me fitness, rugby, soccer, and running groups. Enjoy the sparkling lake by walking or running the 1.1 mile loop around the lake or take a time out and hang in a hammock for awhile. Sit and relax while trying to spot some of Florida’s wildlife or unique collection of birds that gather at the large lake. Crescent Lake is very family friendly as well! The Crescent Lake Park features a large playground that is always teeming with children running and playing! To the side of the playground is a large field that is perfect for throwing around a ball or playing tag. Most of the children love the large Banyan trees that are scattered around the park. Man can make jungle gyms, but not as well as nature can! Even novice tree climbers will find joy in these easily scalable trees! After all of that activity, brave children can be spotted feeding the numerous geese that live around the lake. Crescent Lake is great for dog lovers as well! The aforementioned walking path is always a popular walk for people with dogs to do. There is also a large, off leash dog park that is split into large dog and small dog parks. The large dog park is usually busy with fun-loving, rambunctious, friendly dogs but if no one is there, the park provides balls to play with! The park is almost always clean since there are waste pages provided. For the sports lovers out there fear not! There are very well maintained tennis courts that are always busy with people playing tennis and pickle ball. There is also a baseball field in Crescent Lake Park as well. There are a few high school teams and intramural that play at this field so it is not always available. While we’re on the subject of the baseball park, there is a lot of history behind it! It was originally the spring training field for the New York Yankees. It was the field that Babe Ruth himself trained on! There is a much beloved rumor that Babe Ruth was playing in a spring training game and was running to catch a ball when he spotted an alligator. Despite his love of the game, he refused to get a ball that close to an alligator. (Whether this story is true or not we do not know but it is a beloved story that circulates around St Pete). Even without all of the selling points of Crescent Lake Park, the real estate itself is a reason to move to the Crescent Lake neighborhood! The neighborhood itself is approximately 550 residences and 35 square blocks. The Crescent Lake neighborhood has a stunning balance of old and new. New construction and complete rehabs of homes are very common and are changing the landscape of the area. 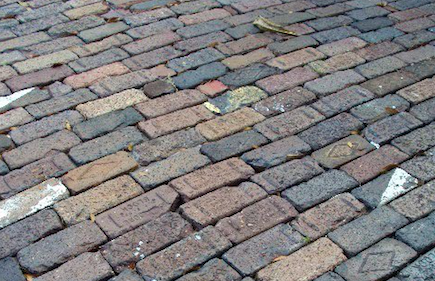 However, a lot of the streets in the neighborhood still have brick roads and extremely old trees, maintaining the charming history of the area. There are still plenty of craftsman style homes and old ranches that help to maintain the historical aspect of Crescent Lake. Is Crescent Lake a good investment? It would seem that the area still has a lot of growth potential. Homes in the area are appreciating, new construction will continue to assist in market values, and the demand is currently sky-high! The neighborhood is continuing to improve as restorations of old structures continue and the new residents assist with and insist on a higher level of maintenance. Are you ready to make Crescent Lake your new home? Give us a call today! We would love to assist you in your home buying journey! Are you ready to sell your Crescent Lake home? Call us today and see why we are the best in the business and learn more about our proven sales technique. Often imitated but never replicated!